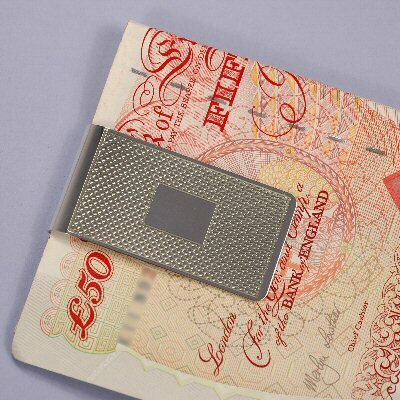 Money Clip, Barley pattern - This 25mm wide, solid sterling silver Money Clip has been given this traditional pattern by our skilled silversmiths. 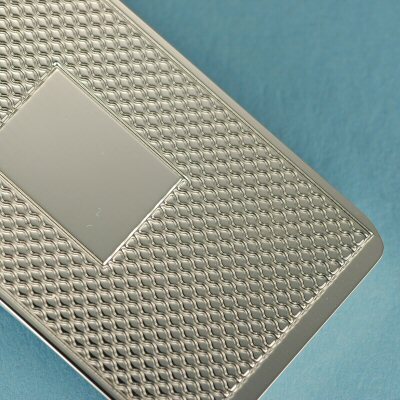 The panel looks equally smart either with engraving or left plain. It is hallmarked by the Birmingham Assay Office.